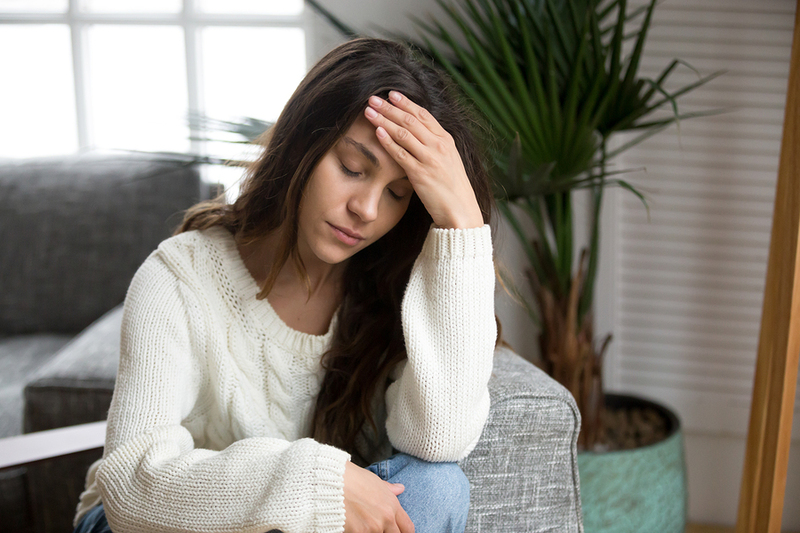 Migraines are a debilitating condition that includes throbbing head pain, sensitivity to light, sound, and certain smells, nausea and vomiting, and dizziness. They are noted as having a genetic link to them. However, this is not true in all cases, especially in those that arise spontaneously. It has been observed that many migraines begin or become much worse after enduring an injury or accident. In fact, 1 out of 7 daily chronic headaches come about because of a head or neck injury, according to migraine.com. This can be any type of physical trauma to the head or neck. Two very common ones include whiplash and concussions. Concussions are a blow to the head that can leave you feeling dazed or even knock you unconscious. You do not always have to be unconscious to be diagnosed with a concussion. Concussions are a kind of brain injury at the lower end of the brain injury severity spectrum. They happen more often in men due to their involvement in contact sports. In the USA as many as 3.8 million concussions happen each year during recreational activities and competitive sports. As many as 50 percent are not reported. They occur in all kinds of sports. The sports with the highest incident rates are hockey, football, basketball, soccer, and rugby. Other things that cause concussions are car accidents, falls, and bicycle accidents. In adults, car accidents and falls are the most frequent causes. Young athletes may have a longer recovery time and be more apt to have a serious brain injury than adults. In order to recover from a concussion, cognitive rest is as important as physical rest. For young people, a reduced workload or extended time for tests may be required. Even something as simple as watching TV can be overstimulating for a youth who has had a concussion. Following your doctor’s advice is vital, as is early intervention. Headaches or migraines are one of the most common symptoms experienced after a sports-related head injury. As many as 86 percent of athletes report having headaches or migraines. Cluster and tension headaches are often experienced, as well as migraines. Whiplash occurs when the neck is suddenly distorted or extended due to an accident of some sort. It is one of the most common nonfatal injuries due to a car crash. It can occur at just 5 MPH and is the sudden jolt the head experiences when a collision occurs. It most often happens when you are hit from behind while in a motor vehicle. As many as 1 million whiplash injuries occur each year in the USA. Symptoms may come about right after the accident. But as with concussions, symptoms may not appear until some time later. It might even be several days or weeks later. Neck pain is very common and is often not relieved by neck therapy. A new disorder called Cranio-Cervical Syndrome has been noted to follow whiplash victims. This shows how fragile the human neck is and how damage to the neck can lead to a restriction of blood and cerebrospinal fluid flow to the brain. However, this is little understood. Interestingly, while the syndrome may have a new name and is now being featured at medical conventions, upper cervical chiropractors have known of this type of problem for over 80 years. They have been caring for their patients for what they call atlas subluxation complex syndrome. Thankfully, advances in research and technology are now directing the rest of the medical community to see how vital this area of the body is when it comes to healing from whiplash and concussions. No matter the reason for migraines — a concussion, whiplash, or some other problem — we can help here at Back in Action in Odessa, Missouri. We use a gentle method to correct the atlas misalignment which may be causing your migraines. This bone easily misaligns during any kind of head or neck trauma. It is often linked to the pain of migraines. We do not have to resort to popping or cracking the neck or back to get positive results. The technique used is natural and precise. Once corrected, the proper flow of blood and cerebrospinal fluid flow can resume, and migraines often improve or become a thing of the past.